Doug and his wife Kris have been visiting Sanibel since the early 70s and have owned property on the island for approximately 30 years. He has been a member of the SCCF Board of Trustees for the past four years and has previously served as Treasurer and Vice President. Doug has a BBA degree in Finance and a Masters degree in Hospital Administration from the University of Michigan and is a CPA (inactive). Following graduation, Doug was the CEO of the Women’s and Children’s Hospitals at the University of Michigan. After several years, Doug joined Accenture (originally Andersen Consulting) where he held a variety of leadership positions over the next 26 years including Worldwide Managing Partner for the Health Services and Government Industry groups. 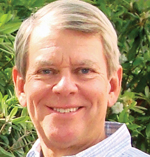 Doug was elected to the Accenture Board of Partners, and has served on the boards of several health care startup companies and the Aspen Forest Conservancy. Doug is also the Past President of the Seaspray Property Owners Association on Sanibel. Doug and Kris have three children and spend their summers hiking in Aspen. John Morse completed his term as President of SCCF at its Annual Meeting on December 11, 2018, and has been on the Board of Trustees since December 2014. He will remain on the Board through the Annual Meeting in December 2019. John has been an active volunteer with SCCF since moving to Sanibel in January 2005. He is a corporate attorney, having spent 10 years in private practice in Wichita and over 34 years as Senior Vice President and General Counsel for LodgeWorks Partners, L.P., a national hotel development and management company. 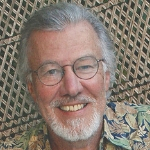 John served as Board Chair of F.I.S.H. of Sanibel-Captiva, Inc. for two years and continues on its Board as Vice Chair. Year-round residents of Sanibel, John and his wife Kay have been married for over 47 years and have two adult children. Thomas A. Rathbone retired in 2004 as President of the Cleveland Clinic Children’s Hospital for Rehabilitation, a position he held for 20 years. Tom earned his B.S. at Cornell University and his MBA at Adelphi University; he was also a CPA and a 1992 participant in Leadership Cleveland. He was on the Cleveland Clinic Health System Executive Council from 1999-2004. He has been an active volunteer in Cleveland, serving as Board Chair and also trustee with the Saint Luke’s Foundation. He has served in many capacities at the Fieldstone Farm Therapeutic Riding Center, including as Board Chair and trustee. He also served on the Council of Agency Executives for United Way Services, as Board Chair and trustee of Recovery Resources and as a trustee of the Shaker Square Area Development Corporation. He was a trustee for Services to At Risk Teens, a director of the National Council on Alcoholism and Drug Dependence, he served on the Cuyahoga County Alcohol and Drug Addiction Services Board, as trustee for the Cleveland Treatment Center, on the Council on Child Health of the National Association of Children’s Hospitals and Related Institutions, as Board President and trustee of the Shaker Heights Youth Center, and as a trustee of the Cleveland Sight Center of Cleveland Society of the Blind. 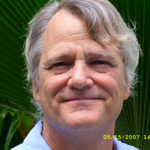 Tom lives full-time on Captiva with his wife Jane. He has two daughters and two grandchildren, and enjoys golf, swimming, bicycling, and photography. 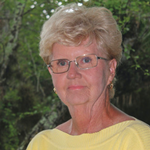 Returning for a third term on the SCCF board, Linda Uhler has been a full-time resident of Sanibel since 1977. She has been an elementary school teacher, managed and owned retail businesses and served as district deputy for Congressman Porter Goss. Her community involvement includes chairing major fundraisers, such as the United Way of Lee County campaign, American Heart Association Heart Ball and BRAVO! Ballet for Gulfshore Ballet. She is currently serving on the Sanibel Public Library Commission. She has also been the president of the Junior League of Fort Myers and the Zonta Club of Sanibel-Captiva. 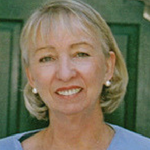 Linda served as SCCF Board President from 2013 – 2015 and she and her husband, Tom, were long-time permittees for the sea turtle program, and they are life members and members of the Legacy Society. They created and co-ordinate the popular Wines in the Wild fundraiser. Born and raised near York, Pennsylvania, Susan earned a B.S. in business administration at Bucknell University before embarking on a 38-year career in York with M&T Bank (now Wilmington Trust Company), where she managed investments for important personal trusts and non-profits while serving on the boards of numerous industry, health, educational, scouting, and women’s organizations. She and her husband still spend summers in Pennsylvania, but have been Sanibel homeowners and Florida residents since 2011, having previously vacationed on Sanibel almost annually since 1986. On Sanibel, Susan volunteers as a monitor for SCCF’s Snowy Plover program and serves on SCCF’s Membership and Events committees. She enjoys birding, biking, beach walking, and visits from her two sons and their wives. Claude received his Ph.D. from North Carolina State University in 1971, having studied marine and estaurine biology in the Dept. of Zoology. During his graduate studies and subsequent post-doctoral posts at The University of Georgia and Johns Hopkins University, he was involved with the startup of two small marine research labs. For many years Claude worked in the medical device field, managing research and development of many innovative and successful diagnostic and therapeutic devices. Among them were immuno-diagnostics, neonatal intensive care devices, cryosurgical units, and cardiac resuscitation devices. In 2000 Claude joined his wife Marsha to form a successful real estate team in Annapolis, Maryland. Claude and Marsha were looking for a place in the sun to escape the Maryland winter and visited Sanibel in the fall of 2001. Both biologists and conservationists, they fell in love with the island and bought their first condo in 2002 and the second in 2003. They retired from real estate in Annapolis, sold their home on the Chesapeake Bay, and moved to a home on Sanibel full time in 2007. Claude and Marsha have been members of SCCF for several years. Claude is returning for his second term as Trustee and he has been a volunteer member of the Marine Lab committee for several years. Chauncey grew up on Sanibel and resides here with his wife, Allison, and their three sons. He manages a consulting firm that provides federal budget forecasting and analysis. Prior to returning to Sanibel in 2010, Chauncey lived in Washington, DC where he was a budget policy expert for both the executive and legislative branches of government. Chauncey has served on many non-profit and government appointed boards in Southwest Florida including the Charlotte Harbor National Estuary Program’s Management and Citizens’ Advisory Committees, the Lee County Coastal Advisory Council, the Lee County Historic Preservation Board, the Florida Gulf Coast University Foundation Board, the Sanibel Community Association, the Ding Darling Wildlife Society, the United Way of Lee County, the Freedom and Virtue Institute, the Lee Coast MOAA Foundation, and the Canterbury School Board of Trustees. Chauncey is a member of San-Cap Kiwanis and the Sanibel Community Church. He is a graduate of Rollins College and received a Masters in Public Policy from Georgetown University. Sandy Gross has been visiting Sanibel for 40 years. She has many fond memories, looking for the elusive junonia with her mom and flying kites on the very same East End beach where she spends her vacations with her family. Following her passions in Art and Education, Sandy founded Brazee Studios, an art facility which is home to 30 other artists, a glass school and six beehives in a reclaimed factory on a one-acre urban plot in the heart of Cincinnati. It is celebrating 10 years this year! In recent years, she has taken her passion for Food and Bees and co-founded Sleepy Bee Café which has three locations and focuses on Community, Sustainable Local Food, and of course Art where she and her team create all of the interior pieces and glass light fixtures. In her freetime, she loves to visit with all of the creatures in her gardens, make Art and spend as much time with her family as possible. Sandy is looking forward to returning to the SCCF Board and bringing her passions of Nature, Art and Education. Born in Boston, Deborah La Gorce moved to Washington, DC, after college, where she met and married John. Three young children later they moved from the city to a small farm in rural Virginia. She calls herself a professional volunteer, and as such she has served on seven boards, including being president of three organizations. Most notably she was President of the Board of BIG ARTS for six years, an assignment she describes as a huge challenge and great fun. In the environmental area she joined forces with her husband, fighting to designate a scenic highway byway and working to landmark the small town near their property. They put their farm into a conservation easement and, as a family, they donated critical acreage to Habitat For Humanity. Together they worked to defeat a proposed cell phone ordinance which would have allowed “by right” eight towers of 199 feet on Sanibel; the revised ordinance allows a height of up to 149 feet. 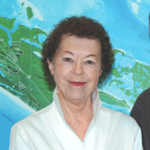 On Sanibel, closest to her heart, is SCCF’s work in preserving land and protecting our island’s water quality, and she served a term as Trustee from 2013-2016. She has been actively involved in every land conservation campaign since Frannie’s Preserve and also became involved in the RECON water quality sensor program. In addition to SCCF and BIG ARTS, Deborah supports FISH and other island nonprofits. John passed away in 2016 and, in John’s name, Deborah has helped spearhead the much-needed updating of SCCF’s intern housing. Tom Libonate and his wife Merni are residents of Captiva. He has been a member of the Captiva Island Historical Society since 2015, and for the two years has served as President of its Board of Directors. Tom brings a long and impressive background in marketing and website design. Prior to his retirement in 2010, he was Vice Chairman of Ryan Partnership, which he cofounded in 1984; it was headquartered in Wilton, CT. The marketing agency specialized in promotional, direct and internet marketing; creative and website design; and retailer marketing. In addition to his Board work with the Captiva Island Historical Society, Mr. Libonate has served as Chair of the Roselle Catholic High School Consultative Board (Roselle, NJ), served on the Educational and Faculty Affairs Committee of Monmouth University (West Long Branch, NJ) and the Westport Arts Center Board of Directors (Westport, CT). Mr. Libonate is most proud to be father to four children, and a grandfather to three wonderful grandkids. During the few months when not on Captiva, he and his wife Merni reside in Farmington, CT.
Shelley’s first visit to Sanibel was in 1982 when she and her husband Bill immediately realized that they wanted to live on the Island some day. They bought a property that year, visited as often as possible and moved here in 2008. 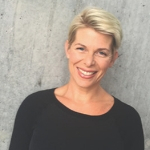 While Shelley and her family lived in Cincinnati, Ohio, she worked as a school psychologist and administrator for Madeira, Mariemont and other suburban school districts in the Cincinnati area. Shelley volunteered extensively while living in Cincinnati. 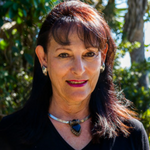 Since moving to Sanibel, Shelley has taught education and psychology courses at Florida SouthWestern State College. She has also continued her volunteer work locally and serves on SCCF’s Event committee. She was a member of the city’s Recreation Financial Assistance Committee from 2009-2012 and Faculty Co-Chair of the Lockmiller Writer’s Institute at Edison State College (Florida SouthWestern) from 2009-2014. Shelley also works for literacy and educational organizations. She has written for her professional psychological organization and now writes for The Island Sun News and Cavalier Rescue-USA. Her hobbies include yoga, visiting her children, paddle boarding and walking the beach with her dog. 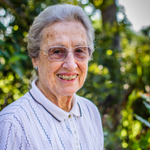 After earning a Masters in Biology from the University of Florida, Robin spent a few years as a research biologist before retiring to raise her family and volunteer in the community. In 1974 she was elected Supervisor of Elections in Hillsborough County but kept her interest in science by serving on the boards of the Florida Nature Conservancy and the Tampa Museum of Science and Industry. Upon retirement in 1993 she moved to Sanibel where her parents had been wintering for many years and joined the board of SCCF and served on the City of Sanibel’s Vegetation Committee. After a long hiatus for caregiving, she resumed her community involvement two years ago serving as president of the League of Women Voters of Sanibel and currently volunteers with FISH and is a member of the Green Team at the Sanibel Congregational United Church of Christ Church. Diane Neitzel was born and raised in the Chicago area, and she and husband LeRoy have two sons and six grandchildren. They moved to central Illinois where Diane worked as a head teller in a local bank while LeRoy completed training for his DVM. They opened a small animal veterinary clinic and hospital which they ran together for 30 years. They began visiting Sanibel more than 20 years ago and purchased a home in the late 90s, finally retiring to be full-time residents seven years ago. Diane began volunteering as a sea turtle walker (Zone 6) and recently became a permittee. She has been active on the Events Committee, the Member Development Committee and she also volunteers in the Nature Center. Ran and his wife, Marilyn, moved to Sanibel in 1991 when he became Senior Minister of the Sanibel Congregational United Church of Christ and they both joined SCCF. In the larger community Ran served two terms as one of Sanibel’s representatives on the Lee County Commissioner’s Community Development Committee and one term on the founding board of the Sanibel-Captiva Community Foundation. Retiring in 2008 after 41 years of parish ministry, he now teaches in the Winter Academy of BIG Arts and writes a column in the local magazine, Times of the Islands. Born and bred in the St. Louis, Missouri area, Ran and Marilyn have lived in West Seneca and Wellsville, New York and Marblehead, Massachusetts. Currently the Niehoffs divide their time between Sanibel and Captiva and the woodlands of Winsted, Connecticut. They have three children and four grandchildren. Mary Ellen Pfeifer is a Florida native and grew up in Orlando, vacationing on Sanibel every year since she was five years old. Her love of shells and the ocean inspired her to obtain a degree in Biology and a Masters in Biochemistry from the University of Central Florida (her shell collection is still on display there). In 2001 her dream of living on Sanibel came true when she and her husband Eric moved to the island with their children. She served as the Chair of Fundraising for the Children’s Education Center of the Islands and has supported the Sanibel Sea School’s fundraising efforts, served on the Pastoral Search Committee for the Sanibel Congregational UCC, and worked on Canterbury School’s Development Committee. 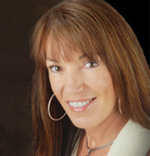 Mary Ellen works full time with her husband as the Marketing Director at Pfeifer Realty Group. 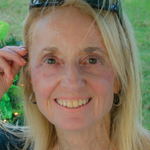 In 2012 she created Serving Sanibel LLC as the charitable arm of the Brokerage and she is currently sponsoring the creation of a series of Sanibel documentaries and art auctions designed to give back to the community while educating viewers about this wonderful island we call home. “Growing Up on Sanibel” debuted at BIG ARTS in April 2014, and “Seven Sanibel Artists” is in production. Don Rice and his wife Joyce have owned property on Sanibel since 2001 and since 2004 have spent the majority of their time on the island. They summer on Lake George in upstate New York. 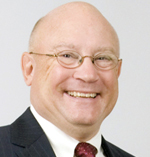 Don served as a senior vice president of the Ingersoll-Rand Company before his retirement from the firm in 2004. His career included assignments in human resources, leadership of the company’s Asia Pacific and Latin America operations, global business services and corporate communication and public affairs. 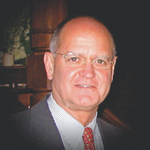 Don began his business career at General Electric following service in the U.S. Army. He is a graduate of the University of Oregon where he received a BA in Economics and an MS in Industrial and Labor Relations. 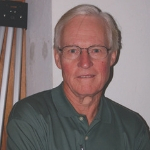 Don is a past trustee and treasurer of SCCF and currently serves on the Endowment Committee. He is a member of the Captiva Island Yacht Club where he serves as fleet captain and chair of the human resources committee. Don is a past president of BIG ARTS. He is a member of Kiwanis. 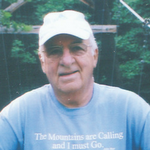 Up north, Don served as president and continues on the board of the FUND for Lake George, an environmental organization dedicated to the preservation of Lake George. He also serves on the board of the Marcella Sembrich Opera Museum. Returning to the SCCF board, Paul is looking forward to continuing his long association with the Foundation and resuming responsibility as a trustee. Paul and Lucy first experienced Sanibel with their children in 1972 and like many of us, kept returning until one day they retired here full time. They have lived on Sanibel a total of 17 years, interrupted by a five-year stint in Santa Fe, NM, returning in 2003. 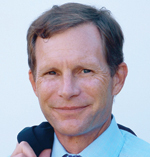 Paul has served as Foundation treasurer and president as well as member of various committees. Paul is a graduate of the University of Missouri, attaining a B.S. in Civil Engineering with a minor in forestry, and attended graduate school at Washington University in St. Louis. His thirty-five-year career was with Southwestern Bell Telephone Company (now AT&T), retiring in 1991 in Dallas as president of the company’s Texas Division. 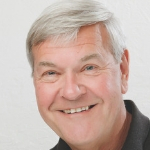 He has served on a variety of corporate and nonprofit boards, including the Sanibel Public Library, the Charitable Foundation of the Islands, and remains active in the Sanibel Congregational United Church of Christ. 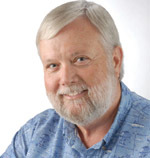 Ty Symroski graduated with a BS in Land Use Planning from the University of Michigan and began working in the Sanibel Planning Department in the late ‘70s, where he co-compiled the Ecozone Maps currently used by the City. From 1984 to 2012, he was a planner in the Florida Keys Area of Critical State Concern, working at various times for Monroe County, State of Florida Dept. of Community Affairs, City of Key West and as a private consultant. He was the City Planner for Key West from 1998 to 2006 and was elected and served one term on the board of the Key West electric utility. In 2012, he tried leaving the Keys for Portland, Oregon but returned to Sanibel after one winter. Born into an Air Force family, he was raised in Rhode Island, Ohio, Japan, Georgia and wound up finished high school at Cypress Lake High School when he father retired the the family moved the Sanibel. He’s currently semi-retired by that includes working as a naturalist for Tarpon Bay Explorers, giving kayak tours and narrating their cruises. He’s a member of the Sanibel-Captiva Rotary Club and serves on Sanibel’s Historic Preservation Committee and also on the Citizens Advisory Committee of the Lee County Metropolitan Planning Organization.